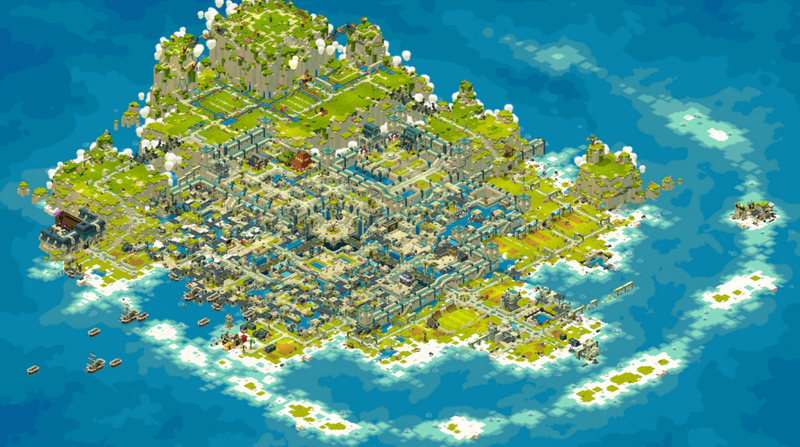 Devblog: A redesigned Astrub Island - WAKFU Devblog - WAKFU, The strategic MMORPG with a real environmental and political system. Careful, we're not talking about a complete Astrub redesign. 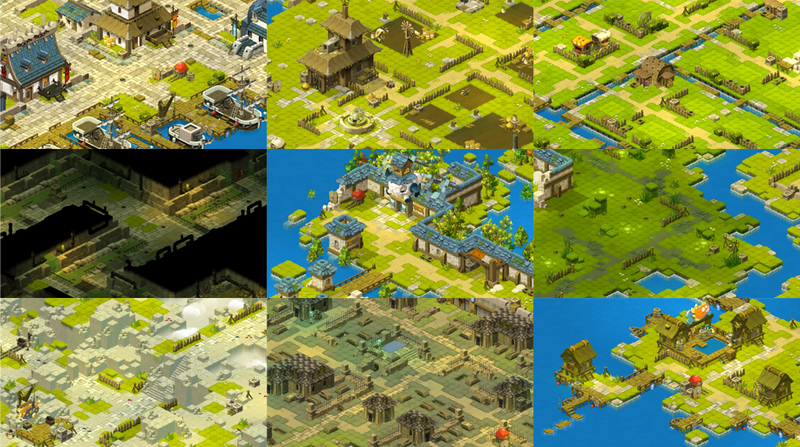 The city of Astrub, redesigned in 2014, has been entirely preserved as well as its main quest and annex quests. This time, it is the Island of Astrub that has been redesigned to make it a real island and a genuine peaceful haven for novice players, which contains a rich variety of high-quality content. We also concentrated on redesigning the game mechanics, some of which affect the whole game, while others only affect Astrub at this time. Immersive: Good immersion, feeling of discovery, progression, without being lost. Danger-free: No attacks, a controlled level of difficulty that is strategically interesting but simple and accessible. Rich: Lots of content and things to do, updated to suit today's tastes in terms of environmental quests, achievements, archmonsters, professions, etc. 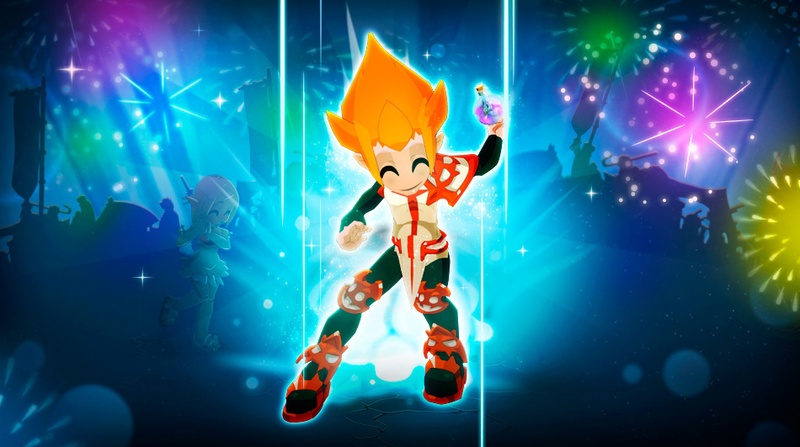 Astrub has always been crucially important in the Krosmoz universe, in both DOFUS and WAKFU. It is the first genuine zone that adventurers visit and it's where our first memories of places and events are formed. It's a place where new players are introduced to the game and learn how to play. It's also a place that needs to show a fragment of the richness of this universe, through its mechanics, but also monsters and environments. Astrub has already taken many different forms, artistic directions and design styles. When a decision was made to entirely review the start of the game, we couldn't forget Astrub. It's just too important to the game and it has a huge impact on new players. 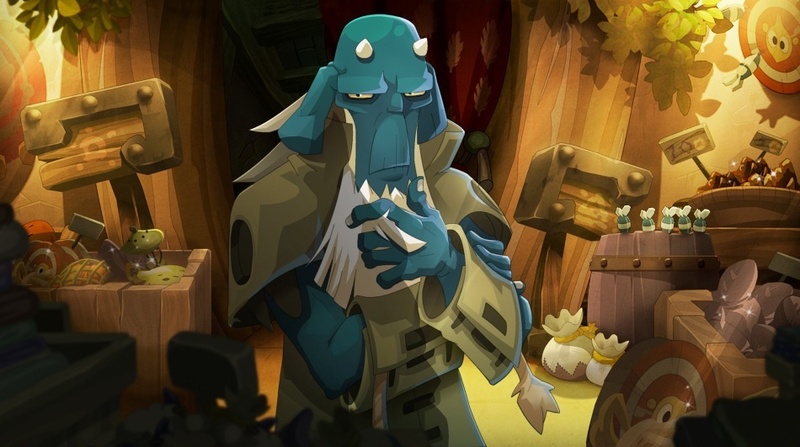 Above all, the first idea we had was to strengthen the links between Astrub in DOFUS and Astrub in WAKFU, while remembering that Ogrest's Chaos has passed through and that many years have passed, etc. Some sites have survived the chaos well, or have only suffered minimal damage. Others have been preserved, restored or abandoned over the years. The Tainela Bridge has been preserved and its wheel turns properly. Tainela was partly destroyed and is in the process of being repaired. The old sawmill has been completely abandoned and nobody seems interested in taking care of it anymore. 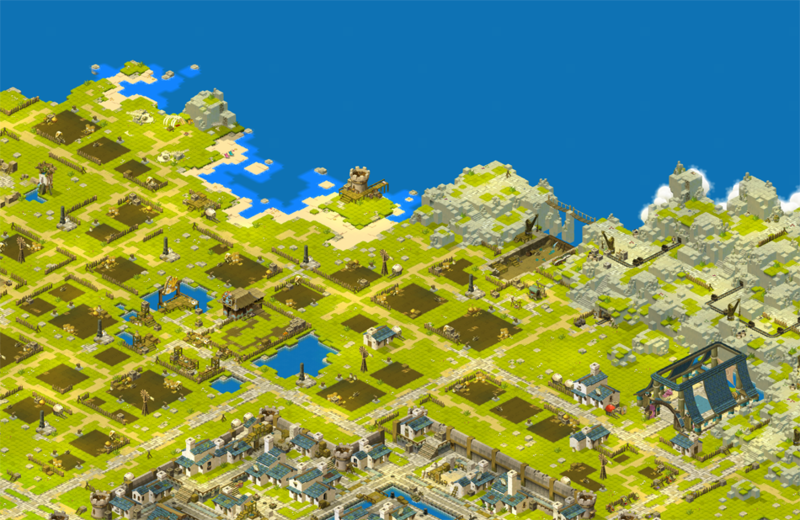 With the movement of plates, some zones have slightly pivoted, peaks have formed, like Mount Astrub, which wasn't as high at the time of Dofus. But the most important thing we have done is to create an intact and coherent whole. We have had to move away from the idea of four symmetrical zones that represent the nations. Astrub needed its own form, its own personality. Moreover, the whole team thought it was a shame that the two most iconic families in the World of Twelve are not represented early in the game's progression. So it was really important that we added them into the new Astrub. To keep things clear, we wanted every zone to have its own unique atmosphere, its own resources and a clan master who represents the professions associated with that zone. For example, the forest contains a lot of trees so the clan master is a lumberjack; the mountain is full of minerals so the clan master is a miner, and so on. Each zone has its own atmosphere, clan master, ecosystem, weather and resources. The latter will give players some helpful advice, in their own personal style! All of the destinations have now been centralized in the large port of Astrub. A Kanojedo has also appeared, which lets you test your characters against sacks of potatoes, and the Temple of Scriptures has been moved to another place, which can still be reached in Astrub. In addition to replacing some of the iconic Krosmoz monster families in Astrub, like the Gobballs and Tofus, we have revised all of the Astrub monsters to adapt their level, go back over their abilities, adapt their gameplay and even correct and energize the animation and visual effects. 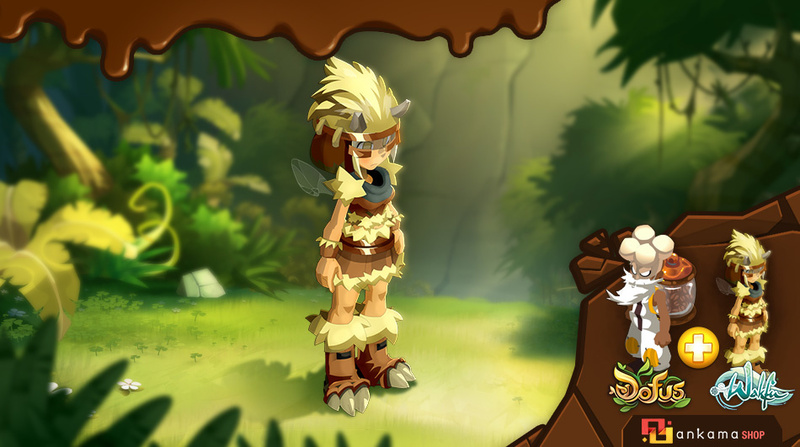 You can find monsters from two level groups in Astrub: the Bow Meows, Tofus, Gobballs and Larvae, from levels 6 to 20. 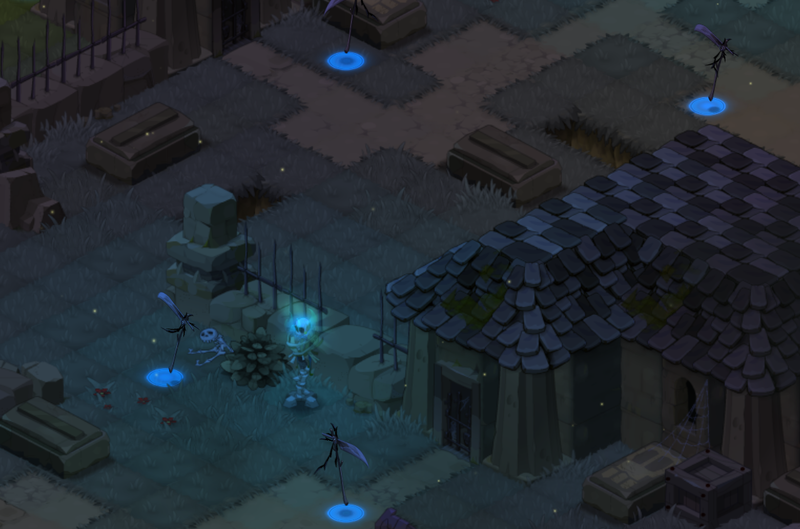 Piwis, Treechnees and skeletons, from levels 21 to 35. To make the zones more dynamic and offer a variety of activities, we have updated the environmental quests to suit the tastes of today's players. What is an environmental quest? Roughly every ten minutes, there is a common quest for all of the players in the zone with various objectives: catch a monster, squash invasive plants, prevent a monster attack, etc. The quest can be performed alone (for example, kill 5 monsters), make a dash (for example, catch a monster when there are only 3 in the zone), compete against other players (for example, squash the most resources); or be part of a team effort with other players (for example, destroy all the monsters in the zone). We've also increased the information that players are given about quests. At any time, you can see your quest progression in real time: your score, your ranking, the number of monsters destroyed and resources that have appeared in the zone, and the number remaining. This makes the competitive and collaborative side of quests more interesting. There are two special collaborative events – which we consider the most interesting – that could also take place in the zones: monster hordes and invasions. Monster hordes are most likely to appear when all of the clan master's wishes are respected. A horde is a group of 8 monsters, including one dominant monster from the family. In addition to earning players a huge amount of experience and special rewards, when a monster horde is destroyed within a set time limit, all of the players participating will earn extra rewards. Invasions are quite rare in the zones. When there is an invasion, all of the players in Astrub are warned by the clan master of the zone they are in. Invading monsters kill the zone monsters, so they need to be destroyed reasonably quickly to prevent serious damage to the ecosystem. In a similar fashion to monster hordes, all of the players earn huge rewards when they help ward off an invasion. In each zone, an archmonster from the family could also make an appearance! Unlike the two previous environmental quests, only the first players to find and destroy the archmonster will obtain its unique items. A crucial piece of information: environmental quests are how players obtain "Souper-Glou". This new resource can only be obtained this way and is used in nearly all the recipes! To finish, we also removed the "Quester's Block" state, which prevented players from going on several environmental quests in a row. In addition, the monsters in these quests are now an equivalent level to normal monsters and will earn players just as much experience. 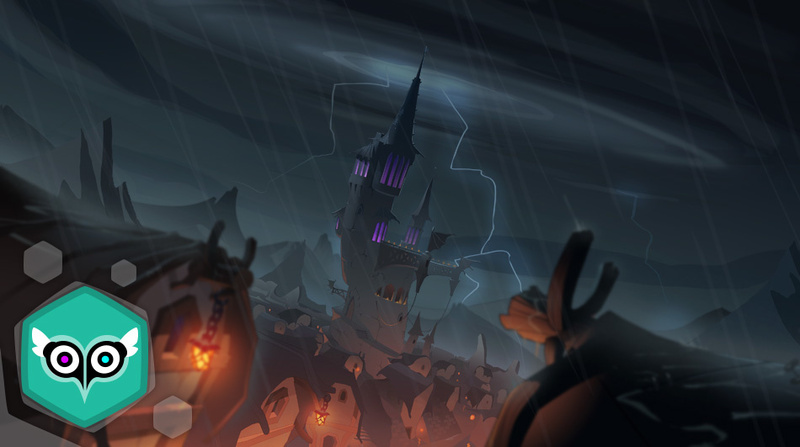 Up until now, the day/night cycle was causing a few problems: It was too long, which resulted in two things for players: Either they played in the daytime and didn't even realize there was a day/night cycle, or they played at night and spent the whole time playing in a gloomy atmosphere, which is really unpleasant. 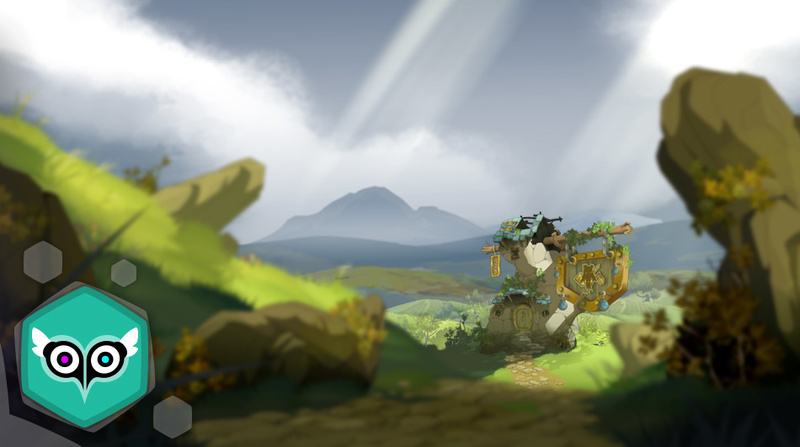 In addition, WAKFU is a game that has an international audience and players who live in many different time zones emphasizes these problems. Similarly, seasons were much too long, which prevented us from creating content for specific seasons, and it didn't necessarily match up with real seasons players were experiencing outdoors. For these two reasons, we only had two solutions: remove the cycles altogether or make them an integral part of the game. 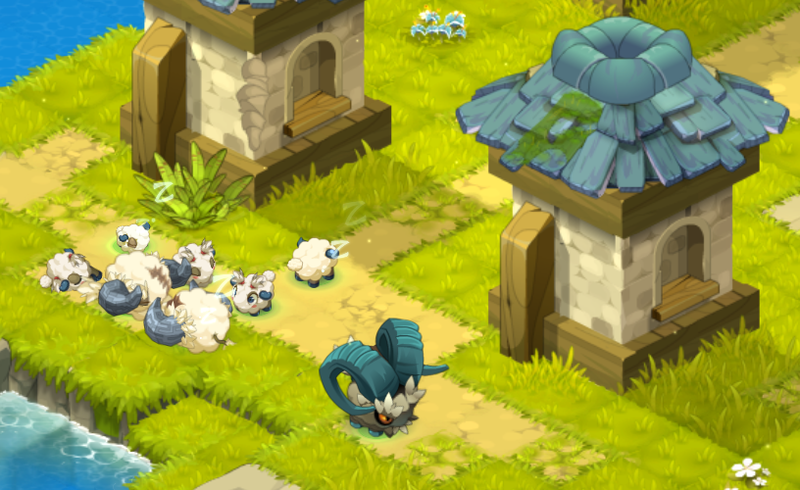 Since they are a primordial element and part of the essence of WAKFU due to their impact on the ecosystem, we chose the second solution! From now on, the length of one game day lasts 1 hour, and the same for one night, which means a full day cycle is 2 hours. A season will take 84 game days, which is exactly one week. Every 4 weeks, you will have experienced spring, summer, fall and winter in succession. Based on the average game session, we believe that this will create a good dynamic for each session and better immersion in the universe. So, how do the seasons affect the ecosystem? The seasons influence the temperature, rainfall and wind speed in the game. Temperatures are a little lower at night. Next, temperatures influence the action time of harvesting while rainfall influences the crop success rate. In addition, some events only occur at certain times, like the appearance of nocturnal monsters or archmonsters; in the long run, more seasonal changes will occur. Some of you will probably be wondering how this will work in relation to real-time based functions, like the Almanax, or the history of the Krosmoz. Well, actually, it's very simple: nothing will change. The two things are totally unsynchronized. Maribri, the Meridia of 27 Javian, remains the Meridia for this date and contains several cycles of light and dark. Jiva is still the protector of Javian, which will contain several seasons. Similarly, compared to "real life", a tree doesn't grow as slowly, characters don't travel or move as slowly between lands, characters do not age either, so we consider that game time is something very different to "real life" time and that it's not worth pulling out our hair over. As always, the way that this new cycle is taken into account by players in their role playing sessions is entirely up to them. We think that it is entirely possible to adapt your "role play" style to environmental factors and that it could even enrich your experience. So the endless days of blue skies are over, things are really starting to happen! We mentioned Souper-Glou earlier that it is used in many recipes, but now we have taken this further. We have entirely redesigned the recipes for levels 0-20 and changed the rules about resources. All of these changes are described in the changelog for the update and they all have the same final goal: to make the game's progression smoother and more interesting for all the professions. Therefore, the resources that are obtained depend on the clan master's wishes; the duration of gathering actions and planting is reduced based on your professional experience; components and refinements appear in every profession, allowing you to increase your experience more easily and also serves as a starting point for all the healthy and simple, basic recipes, to enhance the different types of activities that you can perform in the game. 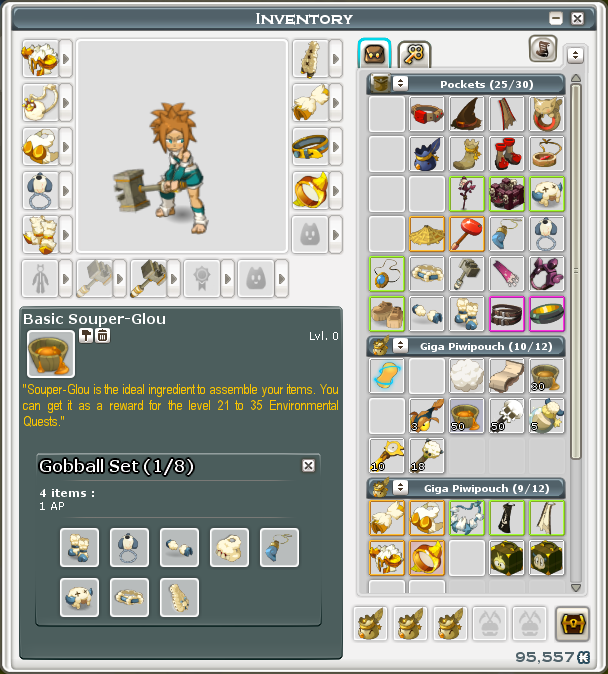 There are also many improvements designed to make everyday life more fun: for example, new components are made faster; rare resources can be harvested at the same level as normal resources and will earn you more experience; bonuses for the first consumables have been revised to work by number of fights; the first food sources give you more health points; the first bags players obtain are larger; a change has been made to avoid miss-clicks that harvest grain rather than rare resources; the trapper level to collect on monsters has been reduced in general, and much more. And we didn't stop there! We have revised the level and rarity of all of the items obtained in Astrub. From now on, every method for obtaining items is valued, whether it is fighting monsters outside, completing dungeons, performing dynamic events like environmental quests, practicing a trade, or even completing as many achievements and quests as possible! Furthermore, even at a low level it is possible to obtain very rare items. Ultimate Boss: mythical items (orange) and sometimes legendary items (yellow). Note that there are no legendary items in Astrub. Improvement (professions): made it possible to increase the rarity of common items right up to legendary level (no longer available in Astrub either). In addition, thanks to our experience with common tokens on Moon Island, we have noticed that dungeon tokens do not fulfill their initial objective: they should ensure a minimal player progression curve and allow occasional players to obtain equipment without frustrating drops. This was working reasonably well at low levels and intermediate levels but not at high levels at all, where the quantity of tokens caused a farming spiral for this activity – which was clearly undesirable. The "One Shot": The Main Quest offers a generous amount of tokens, mercenary quests also earn tokens, and achievements earn even more. The "Repeatables": Otomai's Disciples offers you daily and weekly quests that earn experience and tokens. The daily quest is one of these repeatable quests, which asks you to destroy a particular boss; and the weekly quest, which asks you to destroy all of the bosses for a level group. 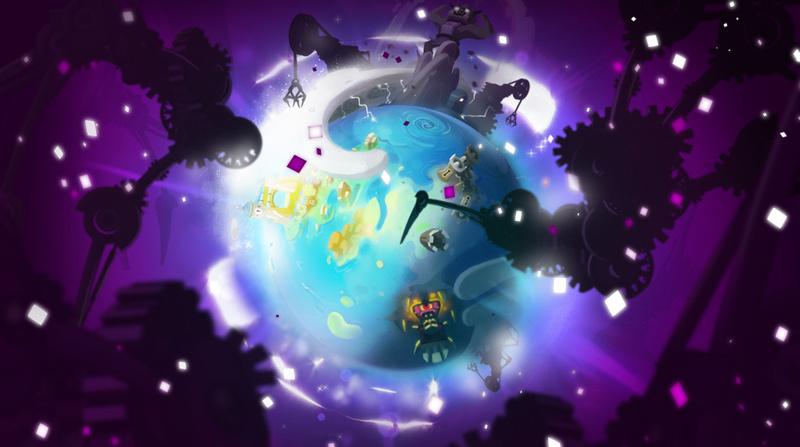 Concerning achievements, we have added a few in connection with Astrub environmental quests. 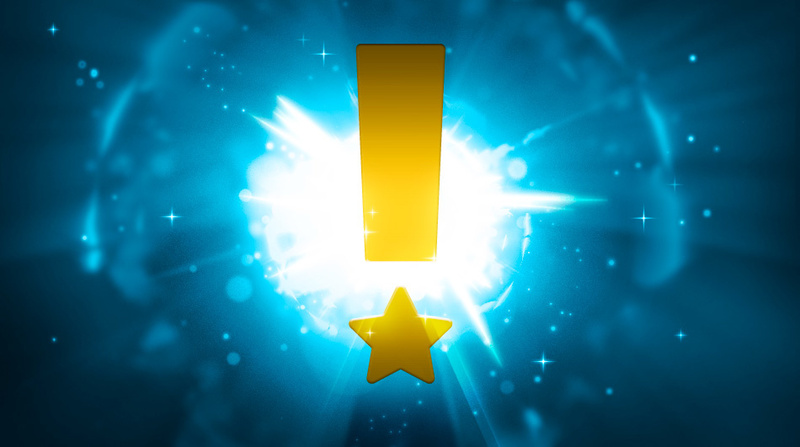 Please note that Astrub achievements also earn experience and that other achievements will be hidden until you have left Astrub, so that it will be easier for newcomers to identify the achievements that are actually achievable for them. Our aim in all of this is to create a healthy environment in which all a player's favorite activities are worthwhile, and something that works by "level group" to ensure that each level group is of good quality, with rich content at every stage of the game. *The Inventory UI image used for this devblog is related to the Adjustable Level System that will be implemented in a future update.